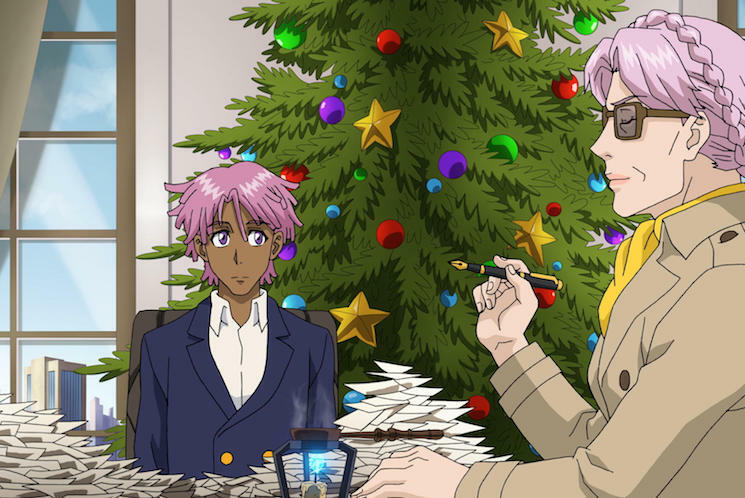 Today the Jaden Smith anime series Neo Yokio returned to Netflix for its Christmas special, and it's come bearing gifts. In the new Pink Christmas special, show creator Ezra Koenig of Vampire Weekend has delivered a new song. The track is titled "Friend Like U," and it was co-written alongside ILOVEMAKONNEN and BloodPop. The new song appears in the episode twice and in two different forms. It first comes midway through the Xmas special with the lyrics sung by Arcangelo Corelli — the rival of Smith's character Kaz Kaan — while a second rendition comes at the end of the episode. Right now, though, "Friend Like U" has yet to hit streaming services. So if you want to hear the song, you'll have to watch the actual episode — or, at the very least, scroll to the 33-minute mark for the first version and the end credits for the second. ​Jaden Smith Goes Full Super Saiyan on "Goku"